How does the world's oldest tequila maker introduce a brand-spanking-new website? By keeping one foot firmly in the past. McCann New York has launched a new site for Jose Cuervo that's actually five sites in one. In addition to its new site for 2014, the brand also imagines what the brand website would have looked like in 1795, 1880, 1945 and 1974. 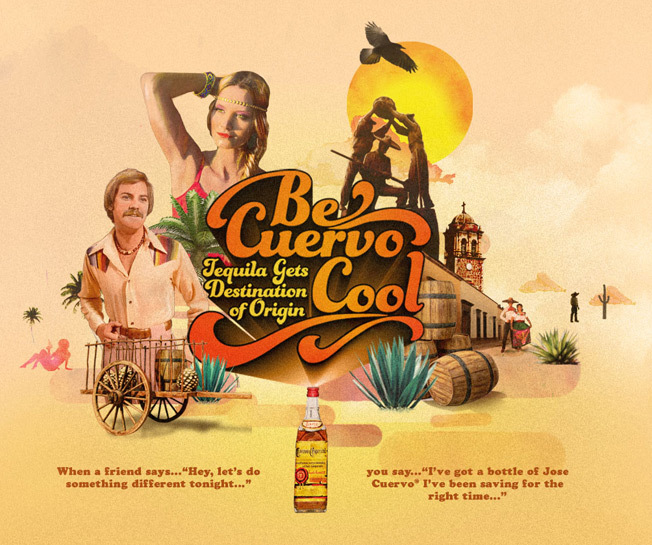 "Fully actualizing the concept in an authentic way required researching the language and design tropes of each chosen year, and then presenting what we needed to say about Cuervo through those stylistic realities," the agency says. It's a fun idea, and 1945 and 1974 are both particularly groovy. The only downside, in fact, is that the 2014 version feels visually staid by comparison. Screen shots and credits below.